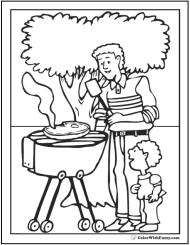 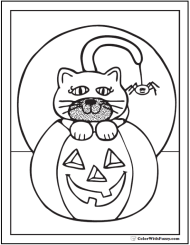 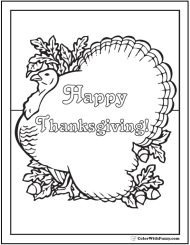 Fuzzy has some simple coloring pages of pilgrims. 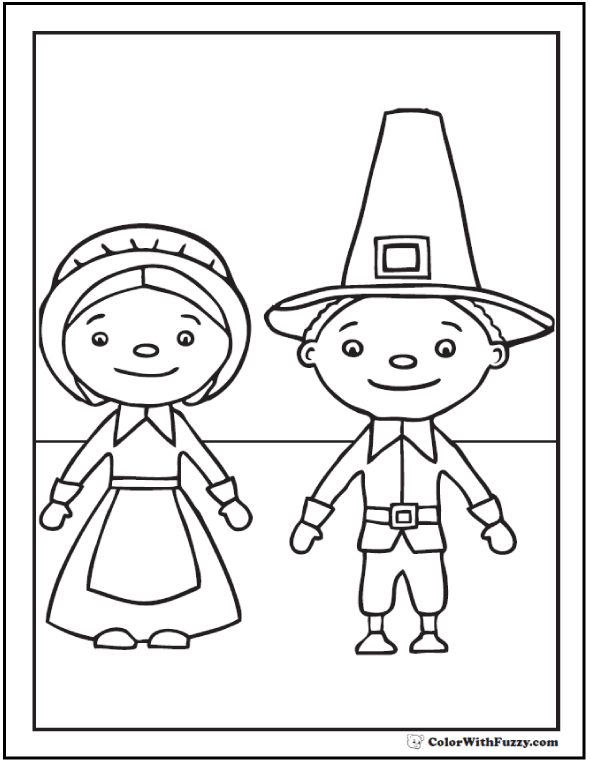 This one has a pair of pilgrims: a boy and a girl complete with hats, aprons, and buckles. 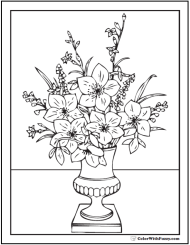 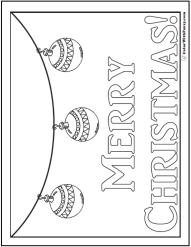 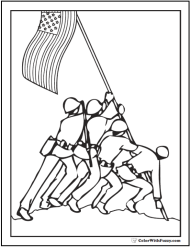 Print the customizable PDF coloring page of pilgrims here.